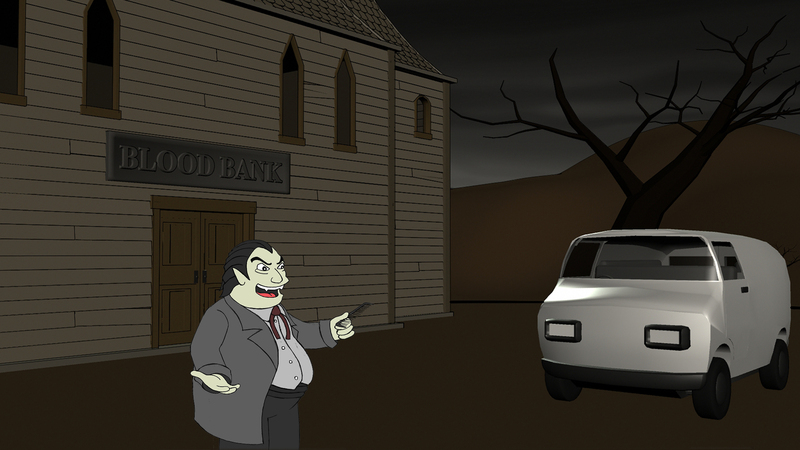 Blood Heist is a short animation featuring a motley crew of vampires, who execute a raid on an everyday Transylvanian blood bank. Here we feature the undead mastermind Victor. Victor likes long walks along the beach at midnight, and goat’s blood Pina Coladas. Blood Heist is scheduled for release later this year, but you can check out the special sneak preview sync test below.